Wonderful traditional home, extensively remodeled with exquisite Modern updates. Tucked away on a quiet street in Pasadena's highly regarded Linda Vista neighborhood, this 3 Bedroom, 2.5 bathroom home features updates throughout, including new kitchen with quartz countertops, new cabinets, new appliances including refrigerator, farm sink and a large island with prep sink and beverage refrigerator. The master suite features walk-in closet, and a redone master bath with stone flooring, custom tile shower and dual sinks. Other grace notes include engineered wood flooring throughout, marble fireplace, comfy family room, updated 200 amp electrical panel & new wiring, copper plumbing, new HVAC and much more. 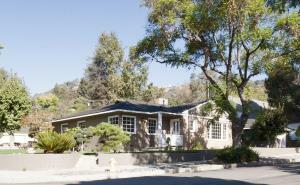 Close to the Rose Bowl, Brookside Golf Course and Old Town, this home offers the premium Pasadena living experience.